I received this brush im my boxycharm box and I have to say i love this brush. 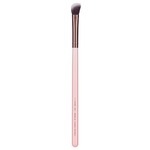 I love that it picks up product very well, has very little fall off and blends out flawlessly. You can rarely go wrong with a brush from e.l.f. and I highly recommend trying as many of their brushes as you can. I would, however, be wary of the $1 brushesfrom e.l.f., since they tend to shed like crazy. 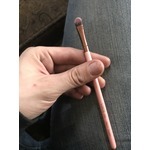 This brush picks up eyeshadow very easily. And the fact that it looks pretty with the ombre brushes & the bling on the side, I'm sold. I got this brush through my monthly Ipsy subscription. 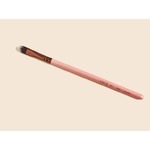 I received this cite brush in a beauty subscription box and the way it blends my eye shadows so effortlessly is amazing! The brush is soft so it doesn't hurt your skin! 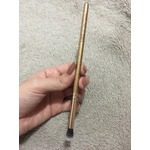 This brush is so little and perfect for detailed/precise makeup application. 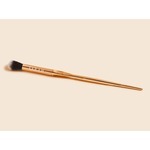 The bristles are a nice softness, allowing for easy applying of any type of powder makeup, So cute! 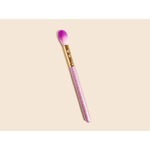 Very cute brush and easy to use! Soft tip, applies eyeshadow like a charm, getting into the crease easily and with precision. 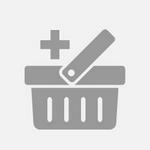 A great addition to your collection of brushes!